The 2004 film Van Helsing is apparently coming back to life, only this time on television. … And female. Vanessa Helsing, the next in a lineage of warriors who must lead mankind against a world controlled by vampires. When Vanessa is resurrected five years in the future, she learns vampires have taken over the world and that she possesses unique power over them. She is essentially humanity’s last hope to lead an offensive to take back what has been lost. Really, now, people, why? No, really? Those vamps ain’t gonna wipe out themselves. Forget the gender-swapping a second, because I don’t care about it. Generic vampire hunters are generic, but Van Helsing … you all remember that the movie sucked, right? That it was a terrible, horrible train wreck of a film? It’s from 11 years ago, do they really expect that people will remember it fondly? Or are they counting on age and poor memory to get people to watch this show? Seriously, let’s think about this one a second. Freshmen in college today were 7 years old when this film came out. Who is this film for? Now, granted, maybe they’re just figuring that the concept was poorly executed (which it was) but that the concept itself could still work (which it might have been). But is the concept so well copyrighted that they couldn’t have rubbed off the serial numbers enough for a show like the movie without it having anything to do with it? Did Hansel and Gretel, Witch Hunters have so few fans that they couldn’t make a tv show? 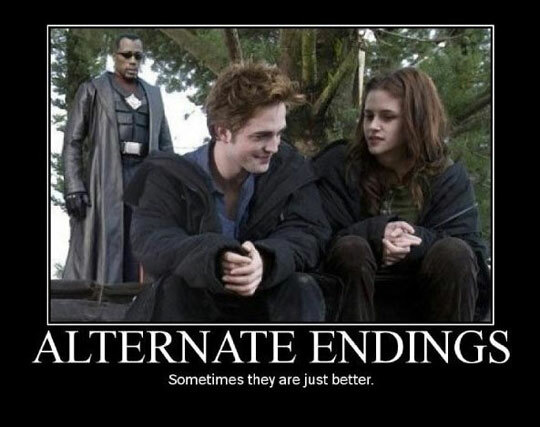 Granted, that film at least got a sequel, unlike Van Helsing. Also, why Van Helsing at all? Look at the premise. The series is unique in exploring a world completely dominated by vampires, while the human characters have to learn the importance of working together to ensure their survival. One, this was called The Walking Dead with vampires, having nothing to do with the original movie, so why bother? Two, this sounds more like I am Legend than Van Helsing. Three, this sounds like the vampires have already won, so why are we bothering here? And, finally, it’ll be on the Syfy channel. BWAHAHAHAHAAHAHHA. Wow, the Syfy channel, the home of crap TV since they stopped running Twilight Zone marathons. It’s doomed! Doomed, I say! This is a channel so reviled, not even the upcoming Shannara series would be caught dead on it, preferring MTV over Syfy. Maybe they saw The Dresden Files. This is supposed to shoot this coming January for a release next year, and there are no actors yet named for what characters, nor is there any mention of Stephen Sommers — the man behind the original film, as well as behind the original trilogy of The Mummy with Brendan Fraser. Expect this vampire hunter F to be considered DOA, and it won’t need a stake to put it down. This entry was posted in Analysis, Commentary, Fantasy, Fiction, Horror, News and tagged Film, Movies, television. Bookmark the permalink.